You are here: Home / Blog / All Posts / epiphytic? platycerium?! 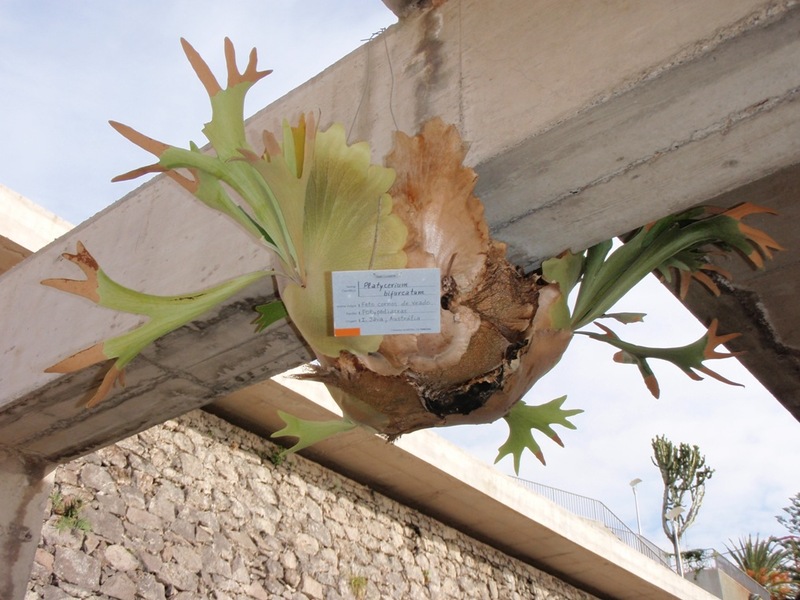 this is the platycerium bifurcatum, more commonly know as staghorn fern. I thought it worth a mention being that it is so unusual and not exactly what one might see on O’Connell Street! For those of you who dont know… epiphytic plants, in this case of fern, are plants that grow above the ground level and use other plants/ objects to support them. They don’t root in soil and are not parasitic in nature but by doing this they avoid or increase their competition for light. As you can see this one is relatively new and needed a little assistance to be adapted to its new home. http://doneganlandscaping.com/wp-content/uploads/2013/02/donegan-landscaping-logo.jpg 0 0 Peter Donegan http://doneganlandscaping.com/wp-content/uploads/2013/02/donegan-landscaping-logo.jpg Peter Donegan2008-01-17 15:31:382011-04-24 11:14:43epiphytic? platycerium?! Just wondering where you purchased this plant as I would be interesting in aquiring one. I have never seen one for sale. but i will enquire.